Hillary Clinton’s announcement Wednesday that she opposes the Trans-Pacific Partnership puts her in alignment with labor unions whose support she needs for her presidential candidacy. As secretary of state, Clinton had publicly supported the TPP, President Barack Obama’s long-nurtured trade deal, and her staff promoted it to other governments. But as a Democratic candidate for president, Clinton has faced pressure from the left to oppose the deal. The Obama administration has agreed to changes to the pact that address progressive and union concerns, so the deal is somewhat more accommodating to those constituencies now -- when Clinton is rejecting it -- than it was when Clinton supported it. Clinton did win the backing of a powerful labor union opposed to the deal before she publicly rejected the pact. In August, she received the endorsement of the International Association of Machinists and Aerospace Workers -- which endorsed her in 2008 as well -- despite objections from the union’s rank-and-file members. Unions have been adamant that the TPP include provisions to prevent currency manipulation. The United Association of Journeymen and Apprentices of the Plumbing and Pipefitting Industry announced in September it would support Clinton’s campaign, three months after its political committee donated $1 million to the pro-Clinton super PAC. She also expressed concern that the deal would be a boon for the pharmaceutical industry. “I'm worried that the pharmaceutical companies may have gotten more benefits, and patients and consumers fewer,” Clinton said in explaining her opposition. However, the finalized TPP agreement includes fewer benefits for the pharmaceutical industry than the Obama administration was pushing for while Clinton supported the trade deal. The U.S. Trade Representative, which has led negotiations on the TPP, wanted 12 years of exclusivity for biologic pharmaceutical products in the deal, and was reportedly seeking that provision since 2011. The finalized agreement is expected to include shorter patent protections on biologics. In opposing the TPP, Clinton is now siding with her rival Bernie Sanders, a progressive who has shown surprising strength in Democratic primary polls, and against a putative foe, Joe Biden. Sen. Sanders, the independent from Vermont, has long opposed free trade deals. Biden is rallying members of Congress to back the TPP. A Biden representative told the Wall Street Journal that the vice president “supports the TPP agreement and will help pass it on the Hill.” That report was published Wednesday, just hours before Clinton revealed her new position on TPP. The TPP is the third major trade deal on which Clinton has changed her views. She said in 1996 that the North American Free Trade Agreement, signed by her husband, was “proving its worth.” Four years later, she called it “flawed,” and maintained her opposition to NAFTA during her failed 2008 presidential campaign. 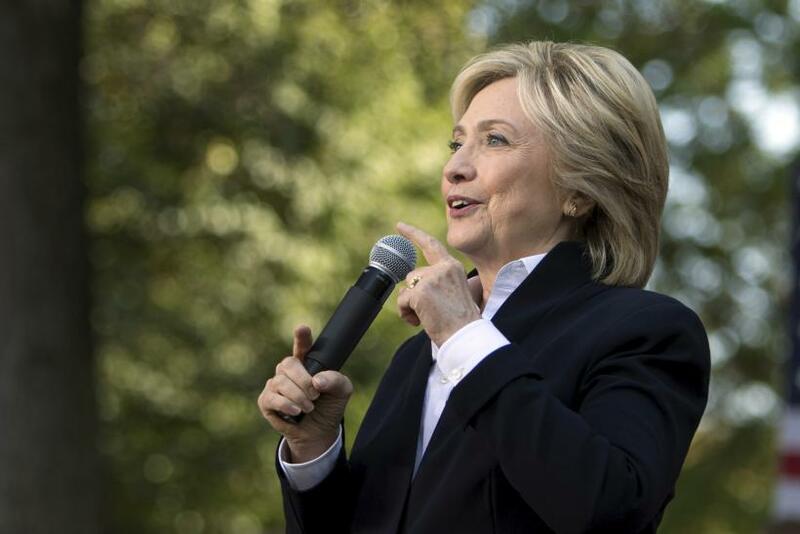 On the TPP deal, it’s possible Clinton may switch sides again. She seemed to preserve some wiggle room for herself Wednesday. “As of today, I am not in favor of what I have learned about it,” Clinton said.